It’s never too early  or too late  to learn how to cook. Jim Edwards, the culinary director and head trainer at the Chef Central culinary superstore, shares tips and techniques for anyone just starting out in their cooking career, and for those who already cook but struggle with it. In Rookie Cooking, Jim shares with you the secrets of preparation  such as setting up your materials ahead of time. He’ll walk you through the essential tools everyone needs, as well as the staples all cooks should have on hand. 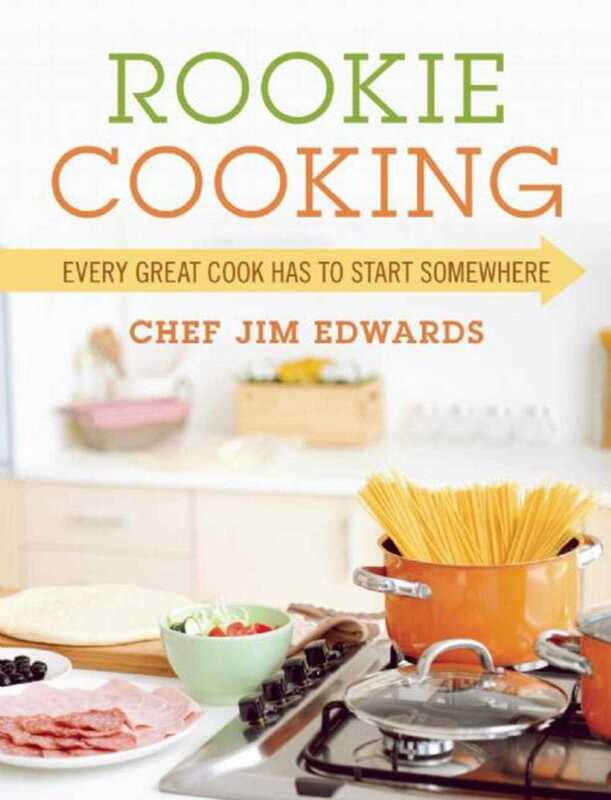 Rookie Cooking will help you develop a repertoire of go-to dishes that you will enjoy both eating and preparing. The book shares 30 step-by-step recipes to get you started. With each new dish you prepare, your confidence will grow, and before you know it, your cooking will enter the big leagues, and your dinner guests will have full bellies.